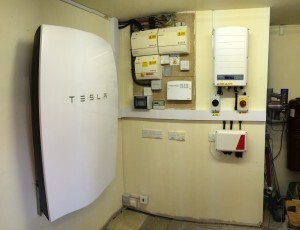 Tesla Powerwall causes a spark in UK solar market! 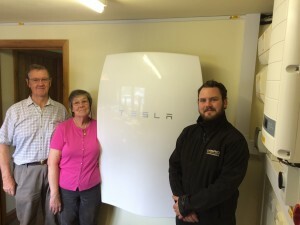 Home > Hero Renewables News > Tesla Powerwall causes a spark in UK solar market! 08 Jun Tesla Powerwall causes a spark in UK solar market! The Tesla Powerwall has finally hit the market in the United Kingdom, and it’s spreading fast! Our first Tesla Powerwall home battery installation has already been completed and there’s plenty more in the pipeline. Our first happy customers in Wales are well on their way to energy independence, along with their brand new Powerwall we installed 3.92kW of our favourite high performance Panasonic HIT panels with SolarEdge optimisers to maximise generation throughout the day, to ensure they have enough solar energy charged in their battery to last them through the night – click here to see the Mimeos website detailed review. Renew Energy is is a leading solar installer, providing solar panels and solar hot water systems to homes and businesses. By keeping a keen eye on the SolarEdge monitoring system and tailoring your daily electricity usage in your home, it is possible to increase your overall consumption of your solar energy up to 80% and beyond. Wouldn’t you like to wake up knowing that you have been entirely self sufficient thus your electric bill for the day being £0? Us too. Visit https://enlytenenergy.com/top-5-things-you-need-to-know-about-running-your-home-on-solar/ to learn how to get it. 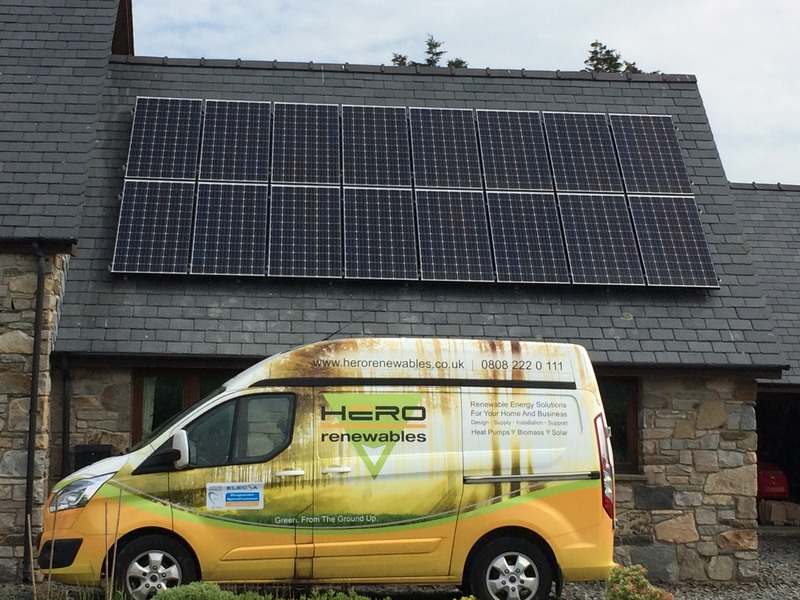 If you are looking into battery solutions to maximise your self consumption and reduce your reliance on the grid, call Hero Renewables today to find out all the solutions available to you. Whether you already have a Solar PV system, or are simply curious about the benefits waiting for you, get in touch with our team today free on 0808 222 0 111.